← Blog Sale! Get Great Perfume For A Great Price! Since diving head first into this bottomless pit of perfume addiction, I have been searching for the “perfect” vanilla. I have come close with a few vanilla-centric perfumes, but something was always lacking. Perhaps this obsession was somehow related with my search for the ultimate recipe for allergy-free vanilla cakes. To drive my craving and longing to almost insane heights, I kept reading up about Indult’s Tihota. A vanilla perfume whith a reputation of almost legendary proportions, Tihota sounded truly amazing, but had long been discontinued. Imagine my jubilation when I read about the great come-back of the house of Indult and in particular the fabled Tihota! Not only was the perfume returning, but presumably without a reformulation. I contacted the new propiertor of Indult and quickly ascertained when I would be able to get my greedy hands on a bottle. Forget about sampling it first, sampling is for wimps – I wanted, I needed this perfume. NOW! Blind buying is normally taboo for me, but this was an exception. I ordered myself a bottle and put it under the Christmas tree. Finally, I was able to open the package and take a whiff of this perfume which has a cult following and which made me sceptical at first about trying it. My first spray was quite meagre, but the plush vanilla that hit my nostrils encouraged me to spray lavishly right away. Ah, this is what I am talking about – straight up vanilla. But at first it reminded me of several other perfumes and didn’t seem all that special – yet. On my skin Tihota started to magically develop. It was as if the sumptuous, slightly sweet vanilla was morphing into the finest most delicate vanilla orchid plant right in front of my nose. I thought this stage was beautiful but it did not prepare me for what was to come. You see, I forgot about the perfume and after doing my chores I sat down and the first moment I had to myself had me huffing my wrist without shame. Wow! What was that? I could not pinpoint it at first. So over the next few days I wore Tihota and basked in the warm vanilla eagerly awaiting to see what it was about the drydown that had me in a state of nirvana. For the first few hours I bask in the warmth and imagine myself on a tropical island – walking amidst gardens overgrown with orchids of all varieties and colours but interspersed with vanilla orchids. 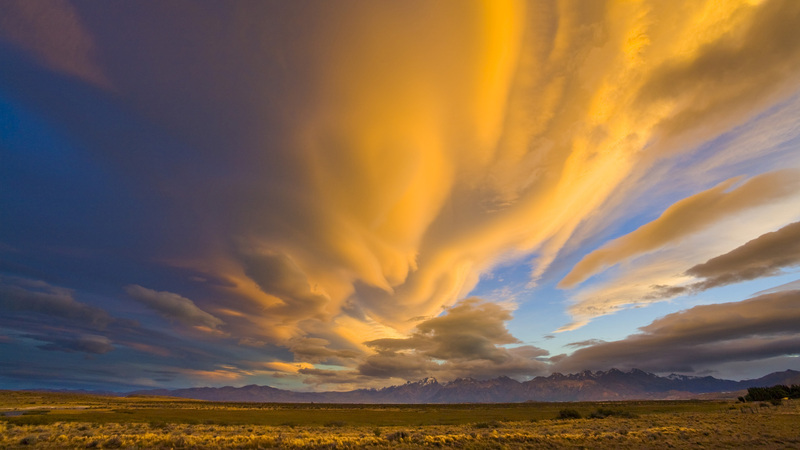 After a while I find myself transported to another world. An Utopian world where there is only peace, love, lush colors in hues of gold, orange and red and most importantly warmth. Then it dawned on me. It is the musk. The musky drydown gives me this feeling of glorious serenity. It is so well done. The vanilla and the musk intertwining into this cloud of heaven around me. Thankfully the drydown is not overly sweet and makes me dream. In the final stages there is a slightly smoky/incensey powderiness that is enriched with the most delicate vanilla. This stage lasts for hours and into the next morning. 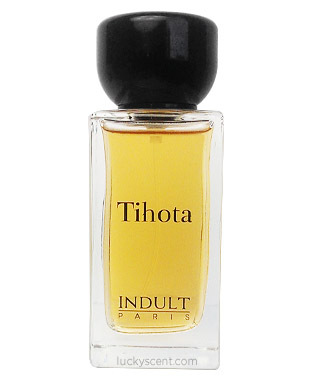 Tihota is a gorgeous perfume worth every penny! This entry was posted in By Sandra, Fragrance Reviews, Indult, Vanilla and tagged Fragrance, Francis Kurkdjian, Indult, Perfume, Review, Tihota, Vanilla. Bookmark the permalink. I defeated my longing for this perfume for the years that it was first available. Now I must fight with myself again. But all the same, I’m not really sorry it is back. Great review Sandra, See you next week. Great review! I love this fragrance as well..still thinking if I should buy a “panic”bottle (that is how I call a second bottle just in case it gets discontinued again). Ha! I actually went to buy a ‘panic’ bottle the other day and the site I was on was already out of stock. I know what you mean – I do not want to be without this one. If only your review had been a day earlier. There was a slightly used bottle of Tihota on eBay for around 30% off that closed yesterday! Lovely review. Awww- what a shame! Hope you can give it a try soon. I like this perfume so much that I will gladly pay full price again. happy it made me feel! This is the type of scent that I wear strictly for my own pleasure. Enjoy! Samples are for wimps! Love it. Sometimes you just have to go for it. I’m so pleased your blind buy Christmas present worked out so brilliantly well. Very interested to read that it was the musk that was doing it for you. Thank goodness you managed to pinpoint it because that kind of thing can drive us nuts. Enjoy your HG vanilla, Sandra. It’s the perfect time of year for it. Haha – thanks for the words of encouragement Tara! I will certainly enjoy it this winter. I am so glad you loved this!! Especially with the blind buy. I have a decant coming from a split, and your description has me even more eager. Great review! I hope you enjoy Tihota Tora. I would love to hear what you think about it. You really whet my appetite for vanilla with your review, Sandra! Oh my–I know i have an ancient LuckyScent sample of this somewhere in (one of) my perfume drawers! This weekend is for treasure hunting!! I hope you find your sample and that you like it too. Oooh – tough question. In short, I have two favorite vanillas now – Tihota and Farmacia SS Annunziata Vaniglia di Madagascar. Just fell in love with vanilla after many smelled too sweet on me and gave me a headache. Your review sounds so enticing I will have to try and find this. Thanks for the great write-up! It is lots of fun discovering all the different vanilla nuances out there. Enjoy. What a wonderful review! I got a sample of this from Lucky Scent. Normally, i tend to shy away from vanilla fragrances because they are too sweet. Maybe my tastes are changing or maybe it’s because Tihota is the freakin’ BOMB, yo! I sniffed, I fell in love, and I ordered an FB. Now I cradle it like the One Ring to Rule Them All. My PRECIOUSSSSS! I adore it and actually have been layering it over Bruno Acampora’s Musc, which draws out the muskiness of Tihota. Again, great review! LOL! I too feel like Golum with Tihota. I will try it now over Acampora’s Musc! Thanks for the wonderful tip.